Sid’s Rocks! Jom pork burgers and beer this weekend. eh KY, do they have like Yorkshire pudding there? their Ben Nevis double patty burger with the works is DA BOMB. And how could you not have the PIG IN BLANKETS bacon-wrapped pork sausages??!!??? and one more thing. Guinness DROUGHT? NOOOOOOOOO!!!!!!!! Yeah I was there for Guinness the last time. But the food looked so good. I want! They have bread & butter pudding, fudge brownie, and a few choices of pies. Oh yesss, I had the pig in blanket and Guinness there, just no pictures of those! wow, looks nice. the price sounds reasonable as well. Will definitely go and CHECK OUT! I love bacon. the hotdog looks big and yummy…with those burnings on it….yum yum…is it a new pub in TTDI? 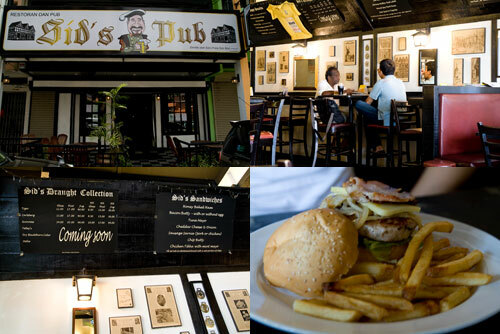 Sid’s pub got the best Guinness drought in KL..
most of the food selection good. 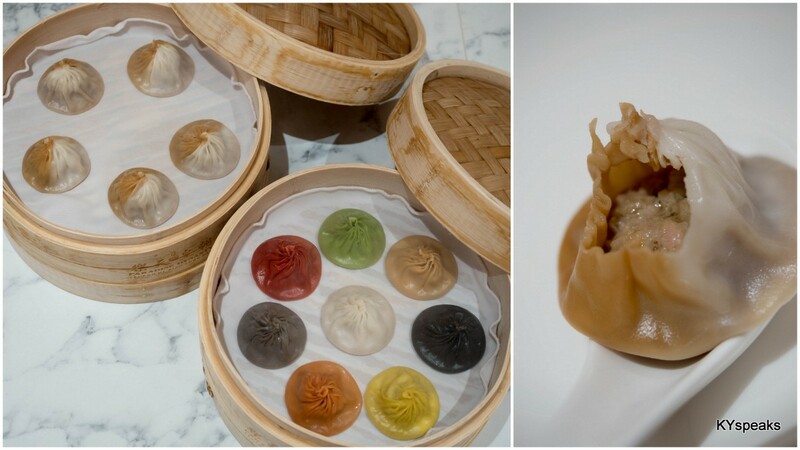 OoO maybe I should try the beef ones too. 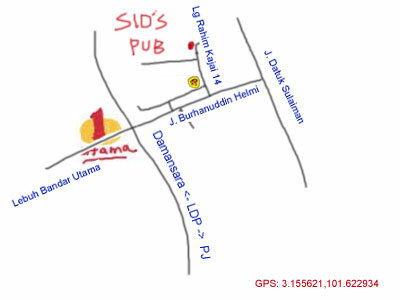 Been to that area whilst looking for Qnine – Standout Party… If I happen to be there, I definitely drop by at Sid’s Pub, it looks really good! You map quite cute, Tks for sharing. the best pub food me thinks! Sid’s has been a long-time favourite with me and my bunch of makan/drinking kakis and I was chuffed to see it reviewed here! Gotta love their food. 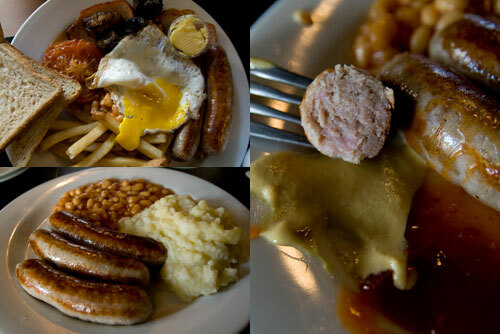 One of the best (if not the best) places in KL to go for authentic British pub grub imo. Do give their Snakebite a go on your next visit. ’tis my usual tipple when I pop by. Love it to bits! whose kid is that! 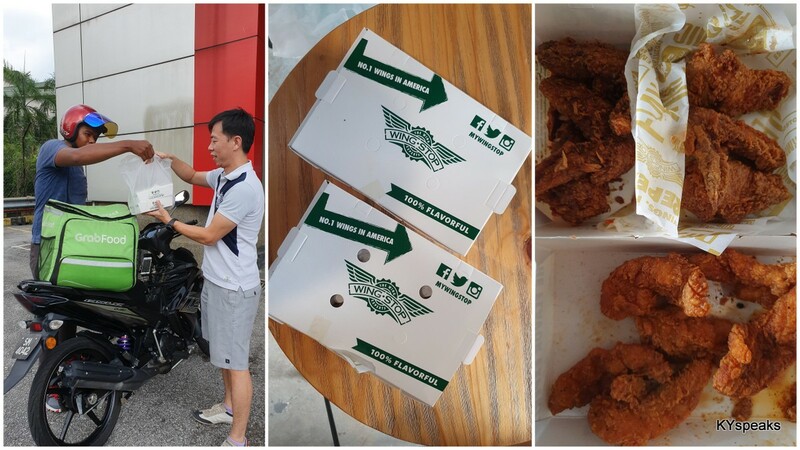 eh bring me go eat la one day! Haha that’s Suan’s nephew, come jom eat! Ooo nice! Yah Bangsar South is like.. pantai hill park. heard some not so positive comments on the food, hence refrained from trying. but the plentiful of meats are intoxicating!!! i’m sold! double patty with cheese and fries?! wow .. heavenly. i’d go for that. hahahaha ask kim about the ploughman’s.. hahaha we were kind of in shock when it was brought out. oOo I guess the English Indian food might take a bit of getting used to, but those burgers & sausages, YUMS! Crappy waiter Mark. Spoiled my night with clients. 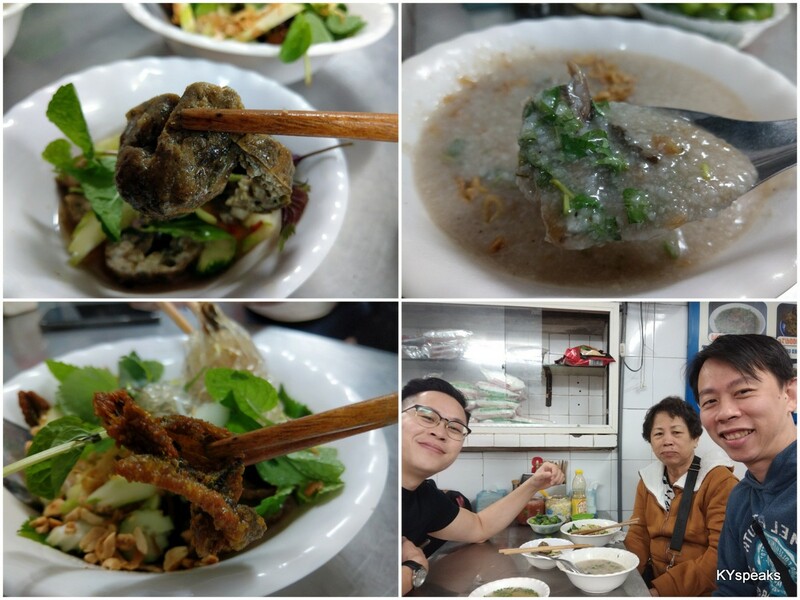 Amazing food but lousy service by Mark. been a regular since the taman tun days. but the damansara branch has a very rude staff. will not be going again sadly. Where can find the strongbox in Mutiara Damansara,PJ, with best price.